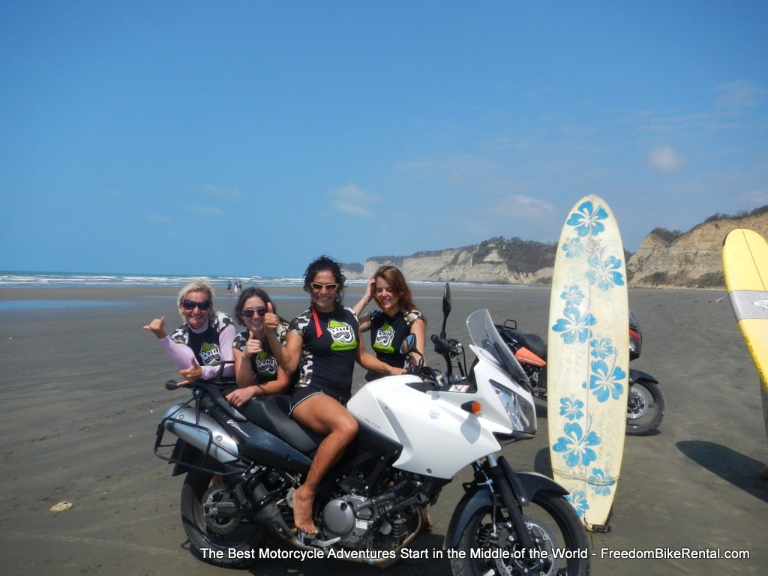 This tour will take you to all of the best that continental Ecuador has to offer on this absolutely unforgettable motorcycle adventure. You will visit all of the major regions of continental Ecuador - the Andes, the Coast and the Amazon Basin. You will have time to explore the major cities of Quito, Loja, Manta, Esmeraldas and Cuenca, including many places declared "World Heritage Sites" by the United Nations. 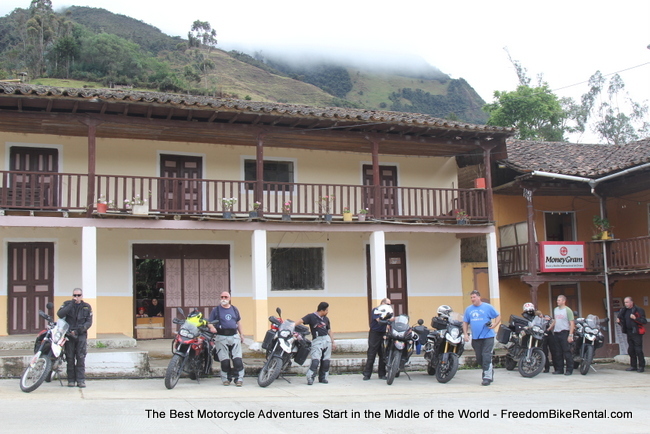 You'll visit the popular "gringo" hangouts such as Canoa, Vilcabamba, Otavalo and Baños. You will experience the various cuisines and cultures of Ecuador such as the criolla cuisine in Esmeraldas, fresh coffee from plantations in Loja, fresh chocolate from the cacao plantations in Vinces, hearty soups of the Andean highlands, and steamed fish wrapped in Amazonian jungle leaves. 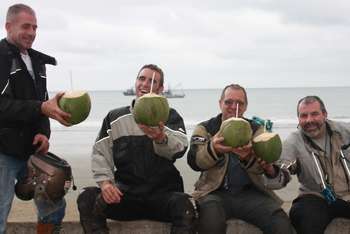 The tour will also take you off the beaten track to explore some of the wild areas of Ecuador. It is one of the most adventurous tours that you can do, giving you access to untouched wildlife and unforgettable insight into how native Ecuadorians have lived for centuries. 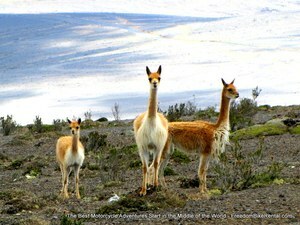 You’ll begin your tour from our shop located in Quito, Ecuador - 2850 meters (almost 2 miles above sea level) in the Andes Mountains, on the Equator, in South America. Quito was declared a World Heritage Site by UNESCO in the 1970's for having the best preserved and least altered historic center in all of Latin America. We suggest you arrive a day or two early to experience this amazing town and to get used to the altitude before your ride. Quito was the second capital of the Inca Empire after Cusco, Peru. After a hearty breakfast of fresh juices, baked breads and eggs, you'll start the day by riding to the indigenous market in Otavalo. For hundreds of years, the indigenous people have brought their animals, crafts and produce down from the surrounding hills to sell in the market here. Don't worry - this market has very little to do with typical knick-knacks and tourist dollars. This is the real thing. You'll witness the frenzy of the animal market - one of the most authentic experiences you'll find anywhere. We'll also have time to explore the Plaza de los Ponchos- a maze of hanging tapestries, weavings and handmade garments. A second animal section of the market deals with fowl, cuyes (guuinea pigs), rabbits, puppies and kittens..
Out of Otavalo and to the meticulously clean streets of the town of Cotacachi. Cotacachi is internationally known for its talented leather artisans. Many of the world's designer clothing brands manufacture their leather goods in this beautiful Andean city. You'll get a chance to acquire a belt, wallet or jacket here at very good prices. From here, we'll ride a series of beautiful ancient Incan cobblestone roads that are still maintained the old fashioned way. Don't worry - these roads have no traffic and the stones are very easy to ride on. Keeping along the coast, end the day's ride checking into your private, beachside cabin in the Cumilinche Club complex. 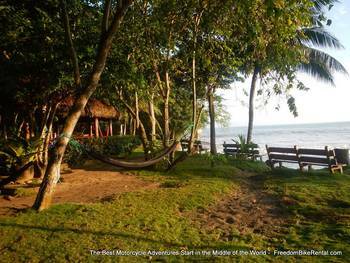 This lodge has comfortable cabins and a private stretch of beach of unspoiled natural beauty. You will be able to go for a swim in the warm Pacific Ocean and explore the natural caves that surround the beach. The location is stunning. You'll have some extra time this morning to enjoy the beautiful, private beach at the Cumilinche Club. Go and explore the rocky cliffs along the coast and check out the teeming sealife scurrying around the rocks and in the sea puddles. 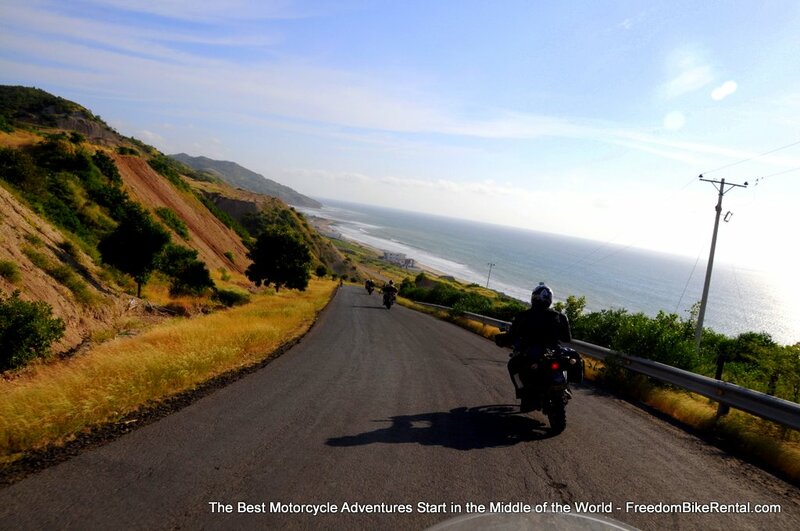 You will start the day riding along miles of the Ecuadorian coast and past many shrimp farms and then through rolling hills of the tropical grasslands of the coastal lowlands. You will see that the preferred form of transport here is horseback. A good stop for lunch is in the somewhat chaotic little city of Pedernales. 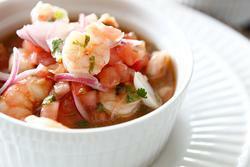 Known as the capital city for shrimp harvesting and trade in Ecuador (the country's third most important export) here you can enjoy some of the great restaurants serving the freshest shrimp you will have ever tasted in your life! As you may already know, the "Panama" hat made famous by US President Teddy Roosevelt during the building of the Panama canal is not actually from Panama. Panama hats actually originated from this area of Ecuador, not Panama. The hats are hand-woven from a straw derived from the leaf of a type of palm tree that grows here. We'll stop in a village here that is reputed to make the best "Panama" hats in the world. 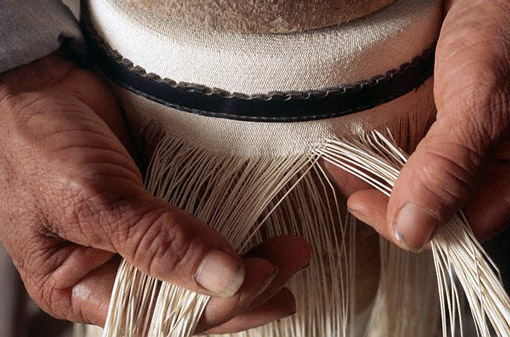 You can visit with a weaver who will show the technique and why it takes between 1 month and 3 years to weave a single hat. Some of the hats are incredible works of art. Recently, one sold to a Hollywood actor for $25,000. 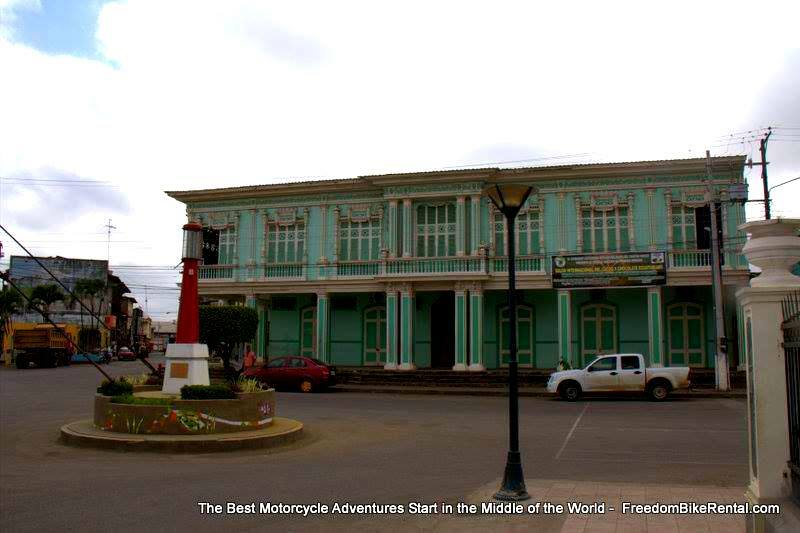 You'll end the ride outside the town of Vinces. Vinces was settled by French chocolatiers in the 19th century and still retains its French architectural heritage. 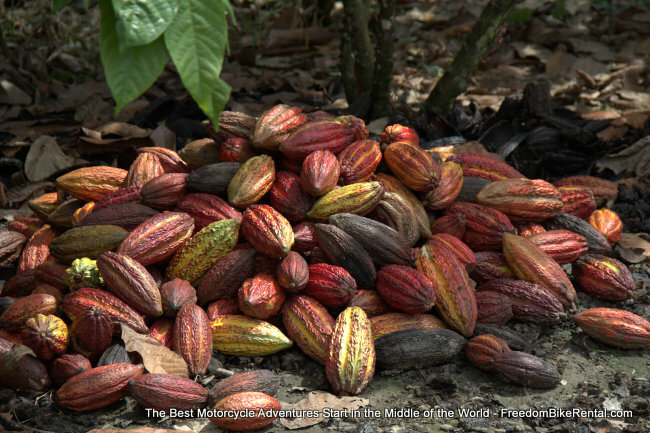 The region is famous for producing the world's best chocolate, known as "arriba" chocolate. The chocolate is called "arriba" because when the first European chocolate makers came here, they noticed the locals were carrying some of the best smelling and delicious chocolate in their canoes. When asked where the chocolate came from, the locals replied "arriba" which meant up-river, where Vinces is located today. We'll spend the night on a chocolate and banana plantation. in the unique Señor de los Caballos Resort. We'll get a chance to learn how teakwood, chocolate and bananas are grown and cultivated from the manager of the plantation. You'll spend the night in the gold mining town of Zaruma. Zaruma was founded in 1549 and still boasts some of the finest examples of early colonial Spanish architecture in all of South America. Zaruma is also known for having the most beautiful women in Ecuador. You will find a nice, cozy room at the Roland Hotel. Heading out from Zaruma, stop in Portovelo to visit the gold mines there, some of the world's biggest and most productive. 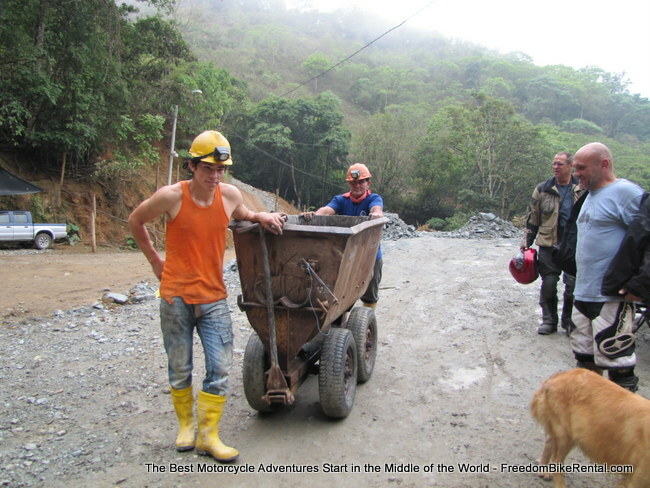 You may visit the mine by riding one of the carts used to transport the raw ore.
Then, as you head back on your bike, ride changing landscapes on rural, mountainous backroads through dense forest. You will pass through the town of Piñas, known for its beautiful orchids. You will climb in elevation once again, riding through the picturesque Spanish colonial towns of El Cisne, with its magnificent cathedral and the charming town of Catamayo. This road has non-stop curves. We have tried to count them but each time we try we lose count. It must be in the thousands! This is where you'll want to make sure you don't scrape off the ends of your footpegs. 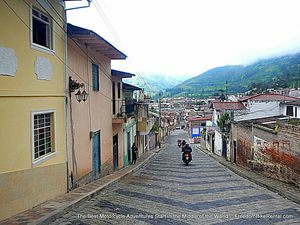 You will finish today's ride in the peaceful, hippy-mecca town of Vilcabamba in what is known as the "Valley of Longevity" because the population here is known to live very long lives. 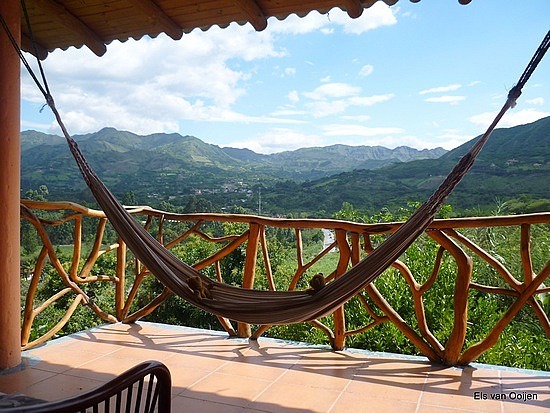 With lush green scenery, a mild year-round climate, and fresh mountain air, it is no wonder that Vilcabamba has been a popular vacation spot for hundreds of years. Once a retreat for Inca royalty, foreigners discovered Vilcabamba in the 1970s after a series of articles were published including one in "National Geographic" that highlighted the long lives of the locals. 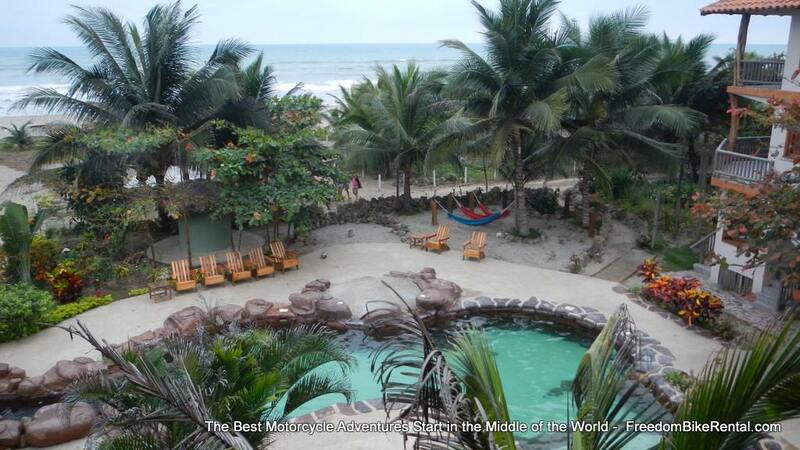 Check into the comfortable award-winning (Best Hotel and Spa in Ecuador) Madre Tierra Eco Resort- a very well-managed, American owned and operated hotel and spa with beautiful grounds and spectacular pool. The rooms are very comfortable and the swimming pool is beautiful. They also offer great massages and spa treatments if you would like to un-do some of the effects of riding. 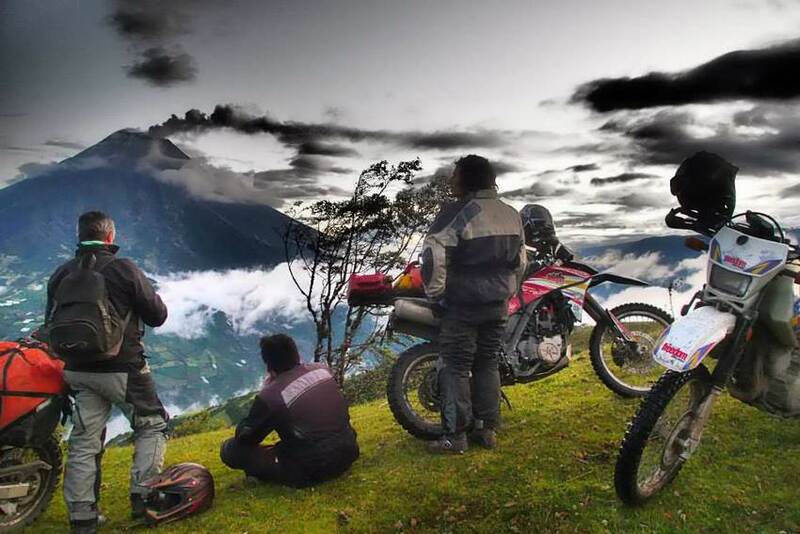 You head north on the Panamerican highway and experience some of the beautiful high altitude vistas below the dark blue sky that are found only when above 10,000 feet. We ride through the gorgeous colonial city of Loja, full of Universities, cafés and plazas with street musicians. Then continue north along one of the most scenic stretches of the Panamerican highway, with tremedous views and exhilirating curves and climbs. Once in the indigenous town of Saraguro, stop and take a stroll through the famous market there. The Saraguro are a unique ethnic group who were brought to Ecuador from Bolivia by the Incas to work on the Royal Road. Their distinct dress sets them apart and makes them a proud, productive people. Rde through the outskirts of Ecuador's fourth largest city, Ambato, and head through lush farmlands and valleys, dorpping to an elevation of 5,000 feet inthe adventure tourism mecca of "Baños de Agua Santa", famous for its health-giving thermal springs. The town is set in the shadow of the mighty Tungarahua Volcano, which is a very active volcano that occasionally erupts with pyroclastic emissions and thick ash. 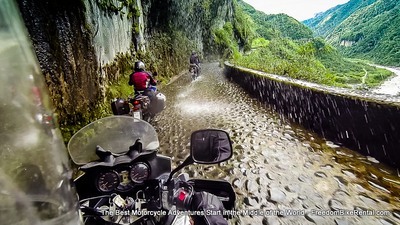 Baños is located in what is known as "magnetic vortex," a unique place where the planet's 4 essential life elements - Air, Earth, Water, and Fire - are found. You will check into the Posada del Arte Hotel and enjoy access to the great restaurants, hot springs and activities that Banos has to offer. Take another steamy volcanic bath and enjoy a full breakfast at the comfortable Posada del Arte hotel before we head back on the road. You will head you eastward and downward on what is known as the "Route of the Waterfalls" through the eastern slopes which will eventually descend into the Amazon River Basin. 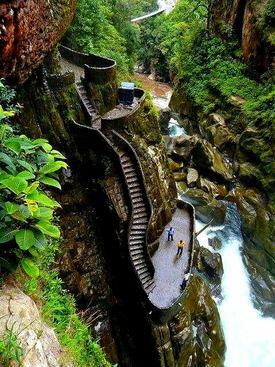 In the town of Rio Verde, stop to view the tremendous "Pailon del Diablo" or "Cauldron of the Devil" waterfalls. The falls crash about 250 feet into a hole that has been bored into the rock over centuries. To get the best view of the falls we will take a small hike and cross over a suspension bridge which leads to steps that will bring us down into the "cauldron." The falls draws photographers from around the world and they will amaze you. 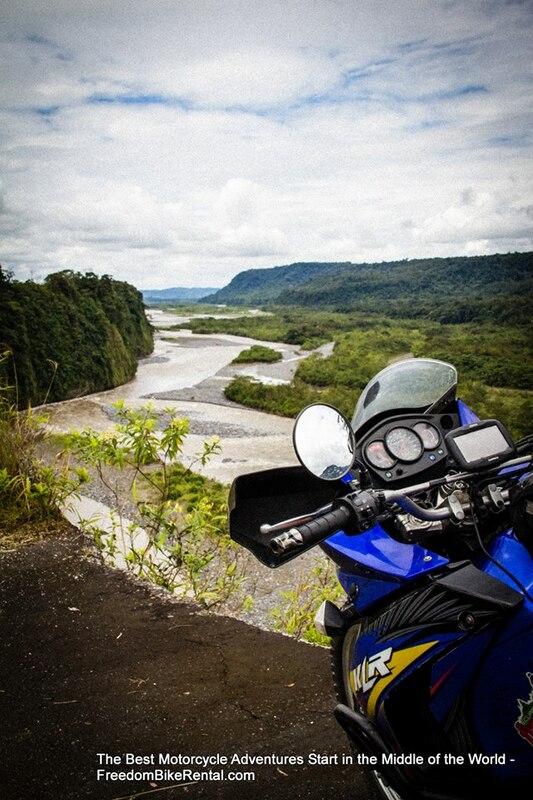 Take a right onto a road that follows the Napo River on its southern bank and go deeper into the Amazon jungle. The Napo River is the fifth largest triubutary to the Amazon River. Arrive at the El Jardin Puerto Misahualli Lodge (an Ecuador Freedom exclusive) and you will check into your private cabin for the night. Each bungalow is built in harmony with the surrounding rainforest. All bungalows are equipped with a private bathroom, a private veranda, a private plunge pool or jacuzzi and reclining chairs in which to relax and enjoy the sights and sounds of Ecuador's Amazon. You can have a swim in the sandy banks of the Napo or walk into the friendly village of Puerto Misuahualli just a few hundred feet away. You'll enjoy a gourmet dinner at their award-winning on-site restaurant with ingredients sourced from the surrounding jungle and farms. The El Jardin will show you how luxury and comfort can be so relaxed and comfortable. You'll enjoy a night of the pure sounds of the Amazon jungle. In the morning you will be treated to a full breakfast at the lodge with fresh fruits, juice and eggs and then taken to the boat house where you will be fitted with a life vest and rubber boots. You'll board a long, motorized canoe that will take us up the Napo River. You will go for a short hike through secondary forest with a native guide who will point out several plant, animal and insect species that are in this Amazon jungle rainforest. He will explain their traditional uses and herbal remedies. 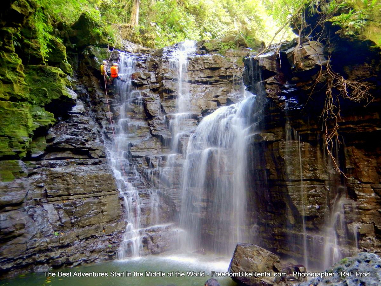 Then go for a swim in the beautiful Cascada de las Latas. This amazing waterfall has a natural rock water slide and a water pit for bathing. There are a couple of other waterfalls that can be visited during your stay depending on time. 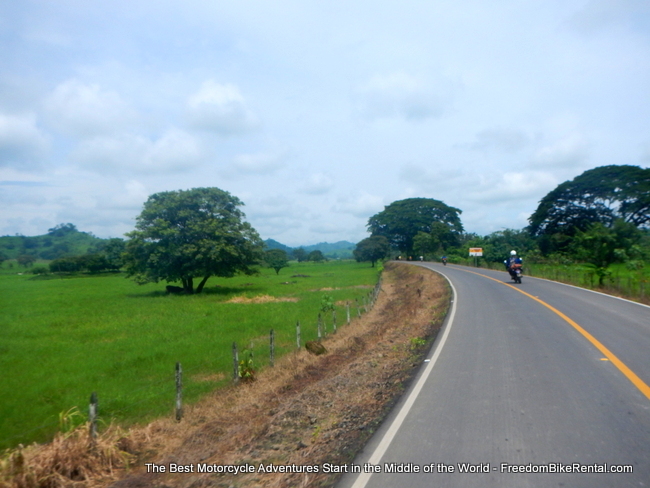 Back on the bike, head east a few miles and cross a one lane metal bridge into the town of Puerto Misahualli. This is the western-most navigable port of the Amazon river basin. Puerto Misahualli has a mischievous monkey population that loves to play with the local dogs and tourists. Be sure to bring your camera! You pass through the rainforest town of Baeza and start the climb back into the Sierra. Then you can have another stop and opportunity for bathing and swimming in the thermal springs of Papallacta before heading over a high (and chilly) mountain pass at 4,200 meters (about 13,400 feet) and taking the a cobblestone, switchbacked route back into the city. 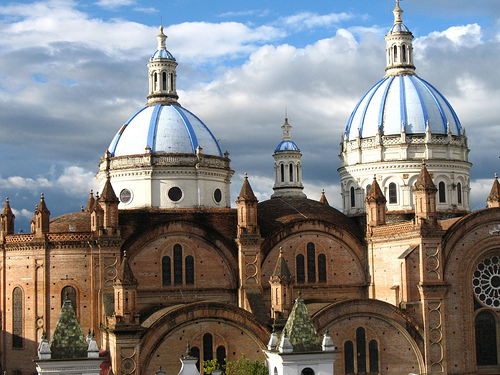 This 12-day self-guided adventure will start in our offices located in the fashionable Carolina neighborhood of Quito. Prior to your departure you will be provided a detailed and thoughtful presentation on Ecuadorian rules of the road, customs and courtesies. You'll be instructed on how to operate your pre-programmed GPS navigation unit and given a packet that includes your prepaid hotel vouchers, daily map sheets with points of interest, descriptions of local highlights, and "hidden gems" that aren't common knowlege. You can use this information to tailor your days - including as much or as little as you like. The route will be reviewed with you in detail to provide you with additional useful information about timing, suggestions for lunch stops and where to get gas along the way. The route you will follow over the next twelve days is based on several years' of experience and of riding this route many times on our guided version of the tour. The route consists of paved backroads that avoid traffic as much as possible. There are several stops available which are marked on the GPS unit and the daily route sheets. 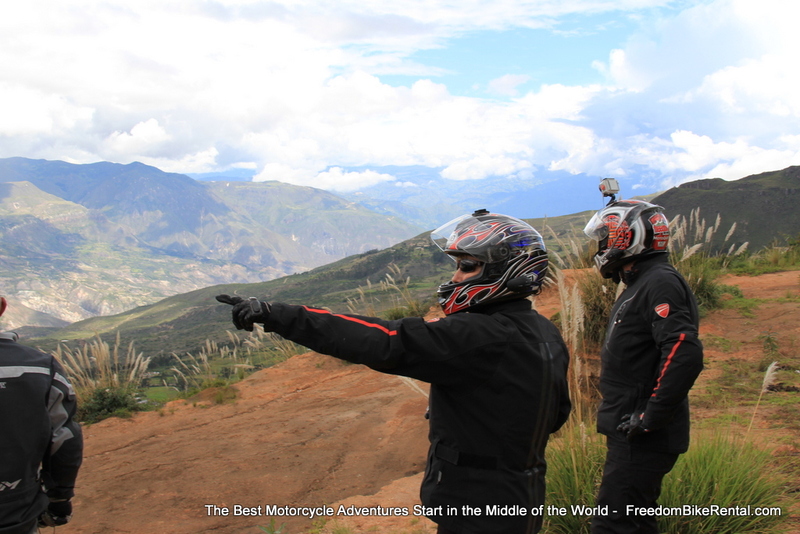 Upon request, Ecuador Freedom can provide you with route options containing some off-the-beaten track unpaved, natural dirt roads. 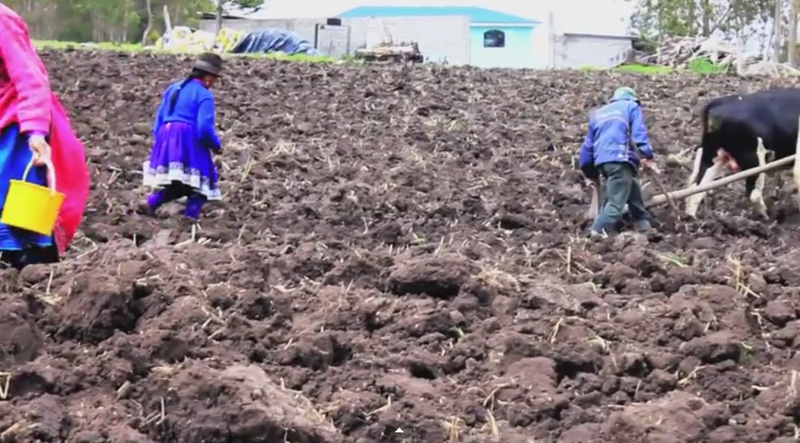 Weather and temperature ranges in Ecuador are generally the same year round. In the highlands, you can expect the chance of passing showers but rarely a full day of rain. Chances for a full day of rain are more likely on the western slopes of the Andes in March, April and early May. 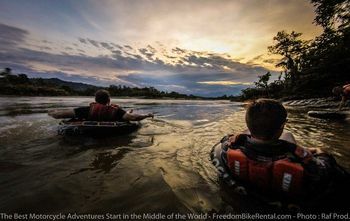 This ride will be in elevations between sea level on the Pacific Coast (where temperatures can reach around 90 degrees fahrenheit) to 14,500 feet in the Chinmorazo Wildlife Refuge (where temperatures can be in the 30's fahrenheit). Dressing in layers is recommended. Plesse see this article for more nformation about the weather in Ecuador.